Used Book & Bake Sale! 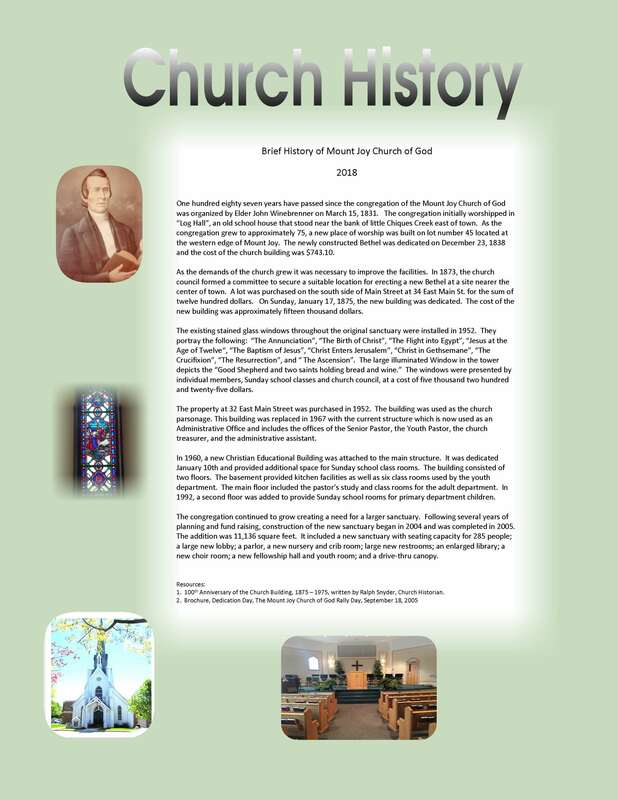 The history of the Mount Joy Church of God is a rich story of a church immersed in its’ community. We echo the sentiments of John Winebrenner who stated that the Bible is, “the only authoritative rule of faith and practice.” It is through our study of God’s Word that we have developed our desire to proclaim the Gospel, seek the lost, and build up the believer in everything that we do for the glory of God, and the advancement of the Kingdom of Jesus Christ. Our Worship Service begins at 9 AM followed by Sunday School at 10:30 AM.